This weekend is the Kentucky Derby 2012 Future book pool # 2, which allows players around the country to wager on who they think will win the Run for the Roses. That is no easy task over two months out from the big race. 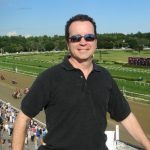 To help a little bit in that evaluation, AGameofSkill.com offers the Wynn Las Vegas future book odds set by the best oddsmaker in Nevada, John Avello. Get the complete list of future book odds here.